Ready for the pram that has wowed parents in Europe and America? 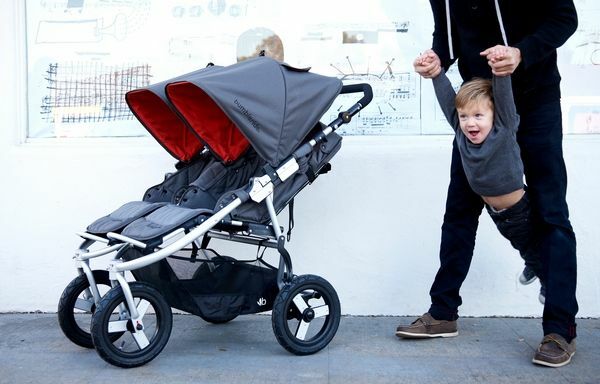 Let us introduce you to Bumbleride, the ‘baby mobility’ brand that’s delivering all the off-road ability of a multi-terrain stroller with the lean manoeuvrability of an urban jogger. So exactly how is a Bumbleride pram different from the rest? 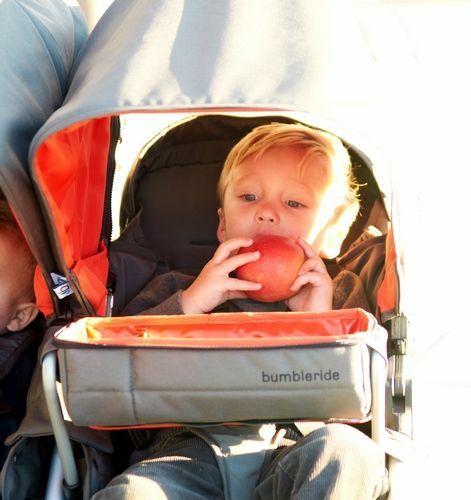 Take a peek at the Bumbleride Indie – it’s not your average jogging, all-terrain stroller. 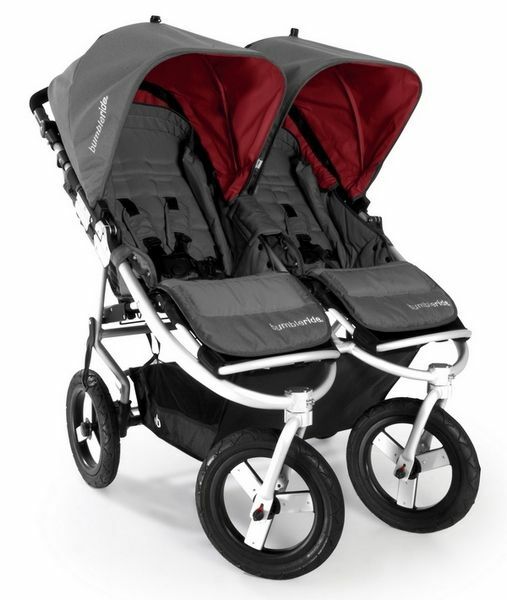 Of course, all the standard features you would expect are there – fully swivelling front wheel with a forward facing lock position, brilliant suspension, a height-adjustable handle, a multi-adjustable reclining backrest suitable for newborns and toddlers, and accessories such as a rain cover, run strap and removable cup holder. But let’s get down to the nitty-gritty because it’s in the details that you will find Bumbleride really measures up. The Bumbleride Indie is incredibly compact and weighs a tiny nine kilograms (a cinch to lift into the car boot). And whilst it may be light, it’s big on extras, such as the extra-large cargo basket and the extra-large sun canopy. Optional extras include a carry cot, footmuff, Maxi Cosi carseat adaptor and a travel bag (brilliant if you are taking your pram with you on holiday). My favourite extra? The Snack Pack. A little bit of clip-on genius for the bumper bar – it’s essentially a built-in lunch box and includes compartments, a zip closure and is easy to clean. Importantly, Bumbleride have gone the extra mile in creating fabrics that are best for your baby and the environment. Every Bumbleride pram is made with fifty per cent recycled PET exterior fabric (yes, recycled bottles!) and fifty per cent bamboo charcoal interior fabric. The exterior fabric is durable and will stay vibrant and the bamboo interior has excellent natural qualities like moisture absorption, temperature regulation, helps to prohibit bacterial growth, and is also soft and durable. For twice the ride, check out the Indie Twin. Like the Indie, the Indie Twin is compact, it weighs just fifteen kilograms and has all the functional features and extras of the single. 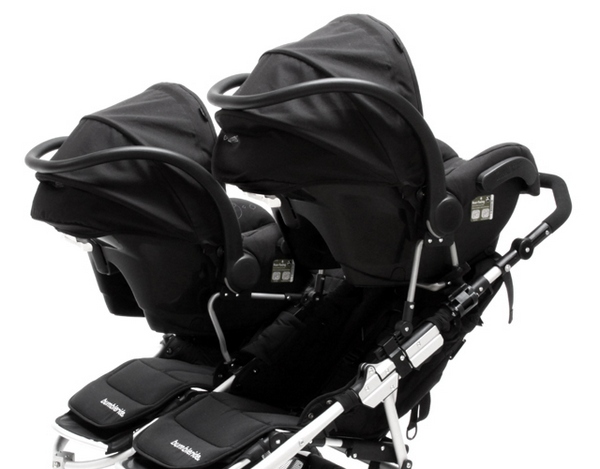 Notably, two Maxi Cosi carseat adaptors can be used with the Indie Twin in a stepped configuration. 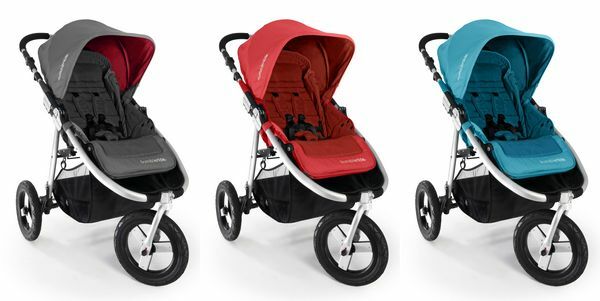 Bumbleride prams are available in four colours – aquamarine, red, black or fog grey (with a fab red hood lining). The Indie is priced at RRP $699.95 and the Indie Twin is RRP $899.95. Be sure to visit Bumbleride and ‘like’ their Facebook page for up to the minute news on Australian retailers and special offers!